No one expects a mental health problem to be part of their life story – but many of us will suffer at some stage of our lives. Whether it’s you, or someone you’re supporting, where do you go to get help? Your GP is the first place to start when looking for help. You may be tempted to skip this step and find a therapist direct, but your GP will be able to assess exactly what’s going on. They will consider both your emotional and physical health needs, and what combination of treatment and support you might benefit from. A good GP is worth their weight in gold when you’re navigating through a tough time. Going to see your GP can be a difficult step. Think about calling at a quieter time of day (early afternoons are usually good) to talk to the receptionist and understand how best to get an appointment with the GP you want. You may even be able to ask to book a double appointment to make sure you have time to talk things through properly. 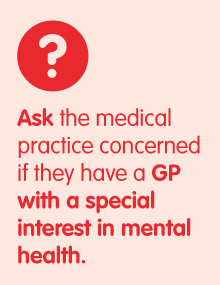 Some practices have a particular GP who has a special interest in mental health – don’t be afraid to ask who this is – or you may prefer a GP you know well. If you know you will struggle on the day, think about taking a friend who can help you explain. Write out what you want to say before you go, including any questions you have. You can even write to your GP before the appointment, if you think you might not be able to explain in words face to face. If you’re seeking help for someone else, be aware that unless the person you are supporting is your child, and still under 16, your GP may not be able to discuss their health with you. They would need to be with you, and the appointment in their name. Try not to have too high an expectation of your first visit. Most likely your GP will explore what has been going on, and book another appointment to follow up. They may also make a referral to someone else, or perhaps look at the possibility of medication that might help. Don’t despair if it feels like not much is happening. This is all part of assessing how your condition varies from day to day, to make sure they make the right decision. For more about how to talk to your GP about a mental health problem, the Royal College of Psychiatrists has great advice. If you’re unhappy with the response from your GP, you can always request to see another. Don’t be afraid to ask for a second opinion. If it’s an emergency (maybe you can’t see your GP; it’s out of surgery hours) there are people from mental health services available at A&E. If you’re not sure whether to go or not, get advice through the NHS 111 service. For more about what might happen at A&E, find information here. If you need support or someone to talk to, Samaritans are available 24 hours a day, 365 days of the year. Call 08457 90 90 90, email jo@samaritans.org or write to Freepost RSRB-KKBY-CYJK, Chris, PO Box 9090, Stirling, FK8 2SA. If your GP feels that you need some additional treatment or support, often their first step will be to refer you on to someone else. This may be a counsellor or therapist attached to the surgery, or it may be to your local mental health service (for anyone under 18, to the child and adolescent mental health services – CAMHS). A mental health team is a group of different professionals, all skilled in mental health, who work together to offer the combined support and treatment someone needs. You’ll get a letter offering you an initial appointment. This is to assess what’s going on for you, to get an idea of how urgently you need help, and what sort of treatment might be the most suitable. Your initial appointment may be with any member of the team. Don’t be afraid to ask what their role is. Following on from your initial assessment, you should be contacted by the person who will be your key worker – your main point of contact with the team (although you may see other members of the team at different stages as well). They will work with you to develop your care plan: setting out how they will seek to help you and provide support. The mental health team will also have a crisis service, if you need help in an emergency or out of hours. Make sure you get details of this, so that you know how to get in touch with them if you need to. If you’re unhappy with the response from your mental health team or if you have any concerns (for example, if you haven’t heard anything from them), go back to your GP. They’ll be able to find out what’s happening and make sure you get the help you need. If you want to seek a therapist privately, make sure that you go through a recognised professional body and that anyone you see is accredited. The British Association of Counsellors and Psychotherapists have a find a therapist service, as do the British Psychological Society. To see a psychiatrist privately, you’ll need a referral from your GP. For more on this, see how to choose a therapist. Counsellor: Offers talking therapy, usually non-directive (they take their lead from you over what you want to talk about). 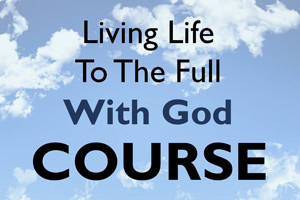 Counsellors are sometimes trained in other approaches, such as cognitive behavioural therapy. Psychiatric nurse (CPN): A nurse trained specifically in psychiatric medicine. They may work in a hospital or in the community (community mental health nurse), visiting people in their own homes or in community settings, such as your GP surgery. Occupational therapist: Offers therapy and advice relating to how you manage practical aspects of your everyday life. In mental health this can include helping people get out of the house, looking at issues like time management, taking up hobbies etc. Social worker: Qualified to offer specific advice in issues like housing, parenting etc. Social workers also help people talk through their problems and focus on practical advice to help them manage life better. Psychologist: Counselling/clinical psychologists have studied psychology at university, and then a further three years training for their PhD. Psychologists do not prescribe medicine, but work alongside psychiatrists to ensure that both medical and psychological aspects of treatment are considered. They are skilled at managing mental health problems: assessing, diagnosing, monitoring and treating them with talking treatments. Psychological wellbeing practitioner (PWP): Someone specifically trained to deliver cognitive behavioural therapy as part of the IAPT (improving access to psychological therapies) programme. PWPs are registered and accredited through the British Psychological Society. Psychotherapist: Offers a specific form of talking therapy based on traditional psychoanalysis. Psychotherapists help you explore how things like past experiences may have affected your unconscious mind, and how these can influence the way you experience the world today. Psychiatrist: Medically trained doctor who has specialised in psychiatric medicine. Psychiatrists take a lead on the medical parts of psychiatric care, can prescribe medications and often lead on case planning. They also have a special role under the Mental Health Act.